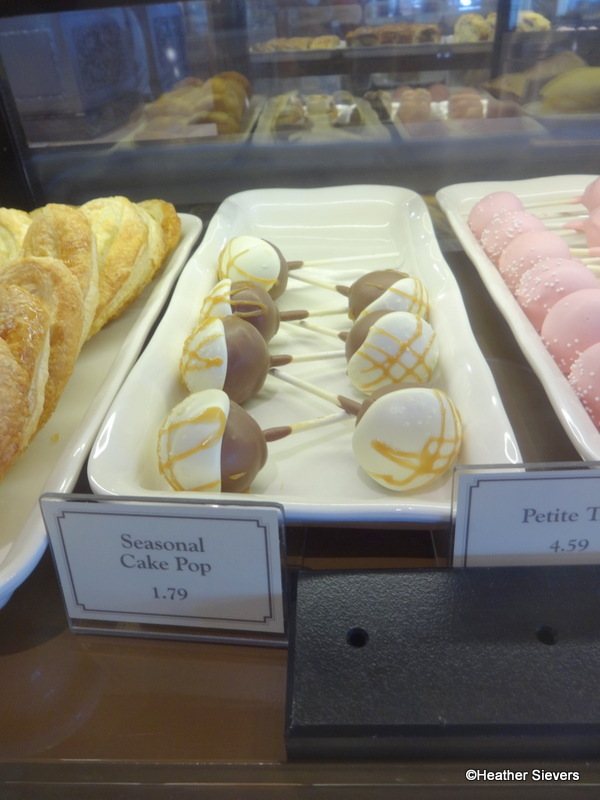 Dining in Disneyland Review: The Market House Reopens as Starbucks! 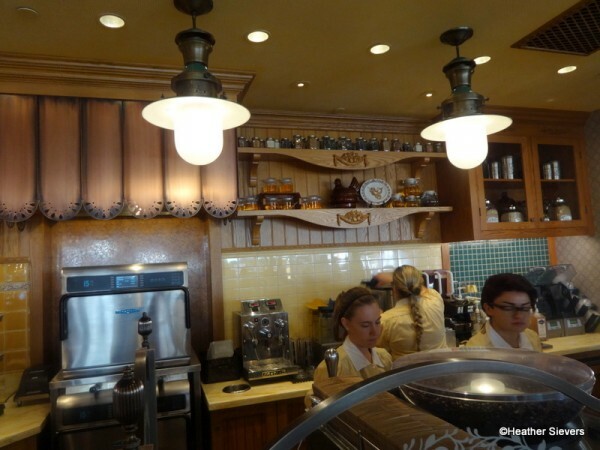 In “better late than never news” (sorry, I’ve completely lagged on this post), The Market House on Disneyland’s Main Street USA has reopened as Starbucks — and it’s gorgeous! 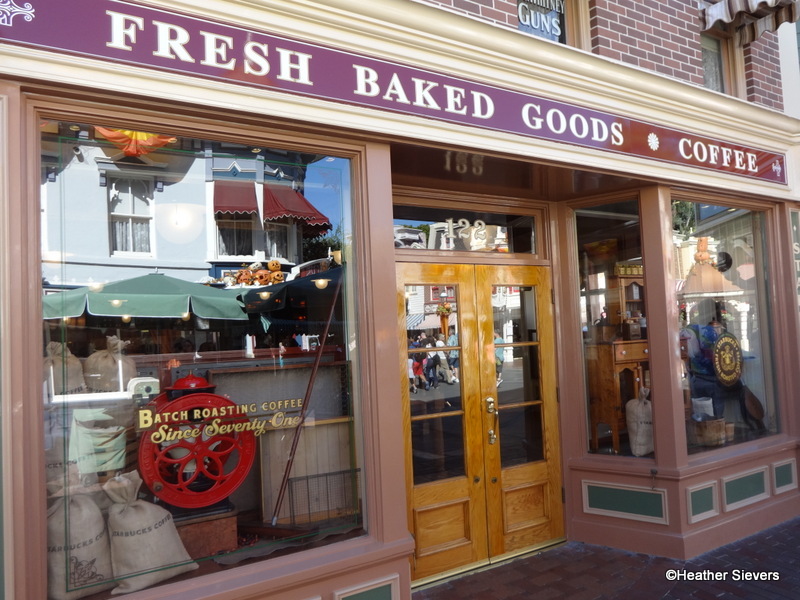 The Market House is the second Starbucks location to open at the Disneyland Resort, following the one inside of Fiddler, Fifer, and Practical Cafe. A third is currently being built in Downtown Disney. 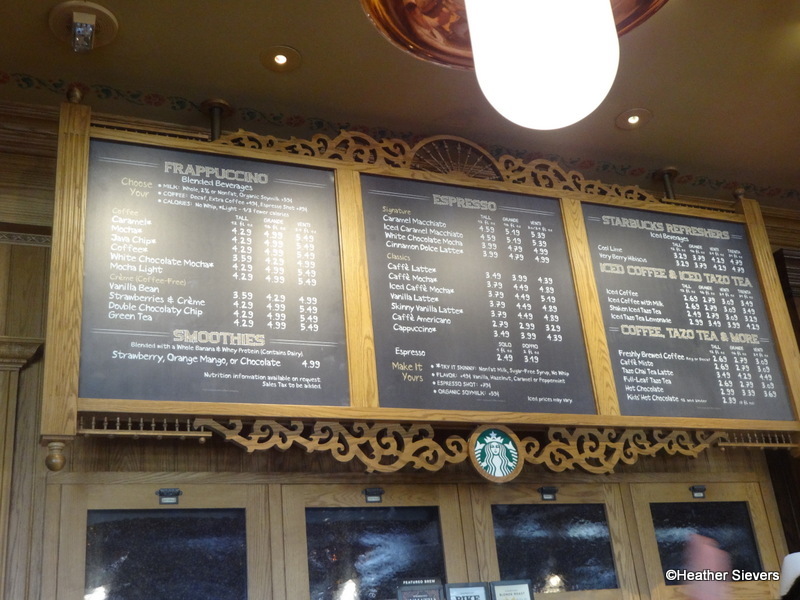 In my opinion, Disney has done a fantastic job at imagineering the themes of Starbucks to fit right in with the resort. 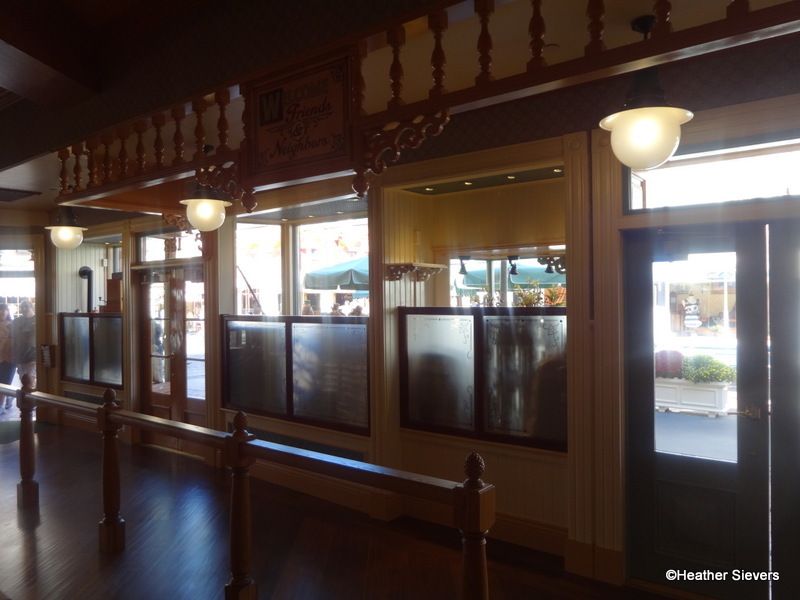 Overall, the Market House has kept much of its quaint decor, but it’s been updated with a larger queue area and more seating. 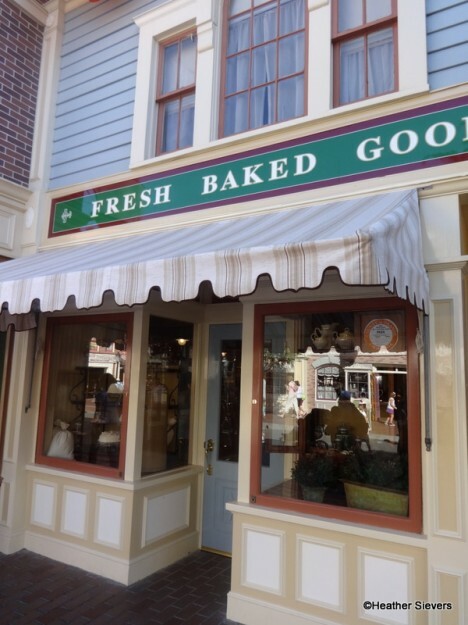 When you walk up to the Market House, you will notice that the Starbucks signage is very subtle. 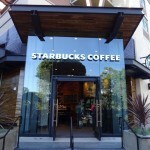 In fact some of the windows don’t even have a Starbucks logo. 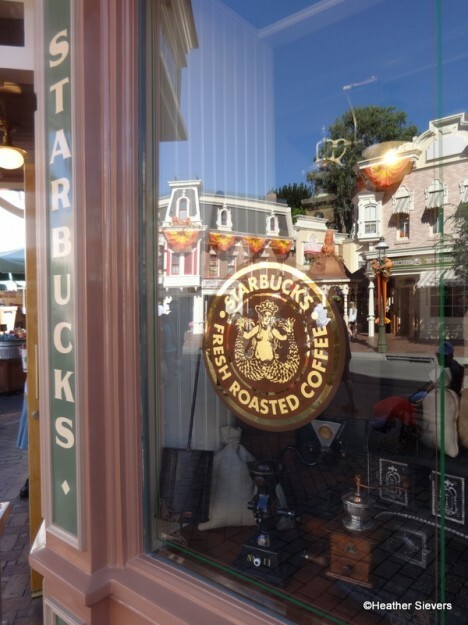 The windows that do have Starbucks signage are more vintage looking; not the typical obvious green logo that we are used to seeing on every corner. The window below is near the main entrance of Market House. There are still two entrances to Market House. Below is the back entrance which is also the main exit. You can see that the Starbucks themeing here, printed coffee bean bags, is also very subtle. 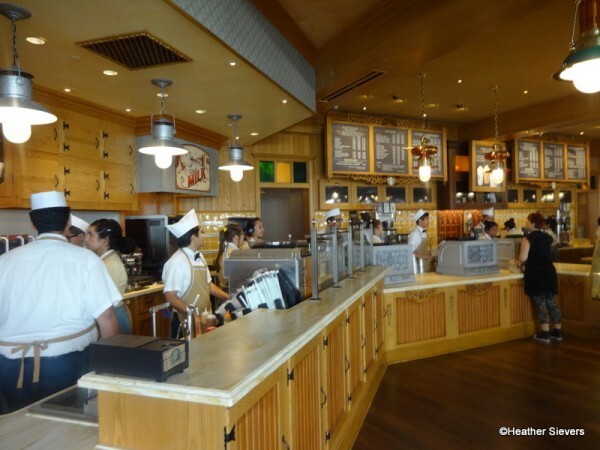 When you walk in, the first thing you notice is the giant queue that has been redesigned. 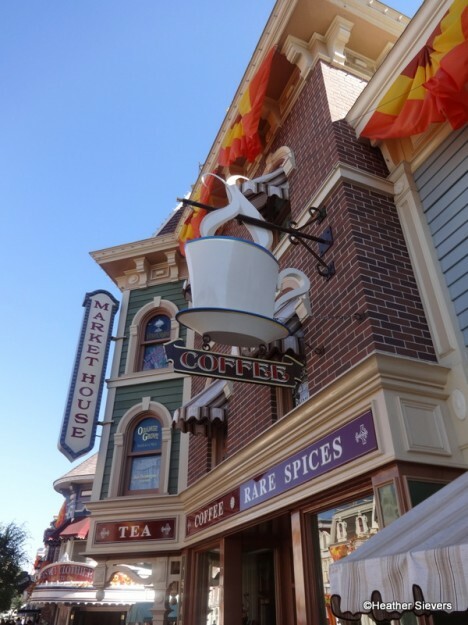 There is plenty of room for those in need of their caffeine fix while at the Happiest Place on Earth. I happened to pop in on an extremely empty day! While in the queue, you’ll notice fresh fruit & various Starbucks products for sale. If it’s going to be a long day, you can pick up a box of VIA products and add them to your water bottle as needed! 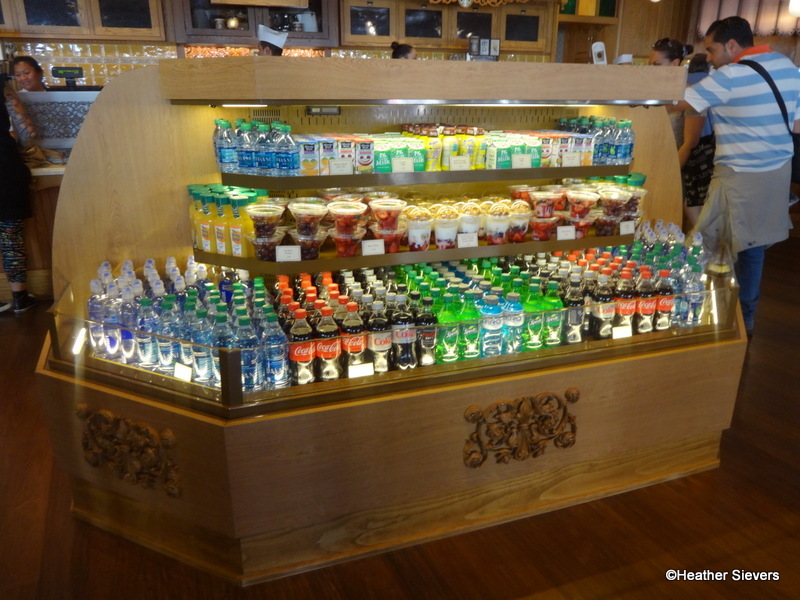 When you get the to end of the queue you’ll find a refrigerated self service area where you can grab bottled drinks, fresh fruit and yogurt parfaits. The queue feeds into the counter, which has multiple registers for taking orders. 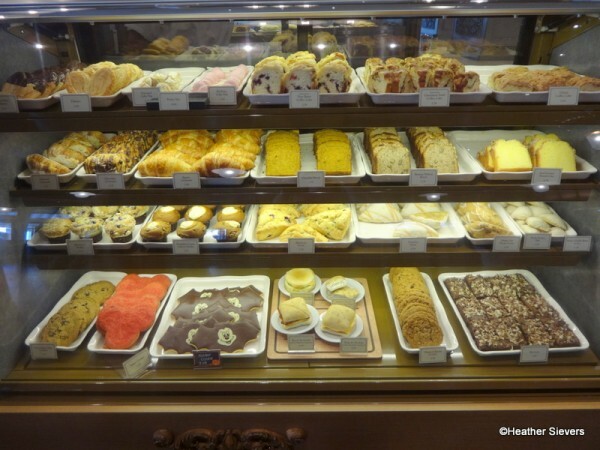 As you walk to the counter to order, you’ll pass the treats case. 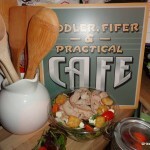 Here you’ll be tempted with all sorts of goodies. 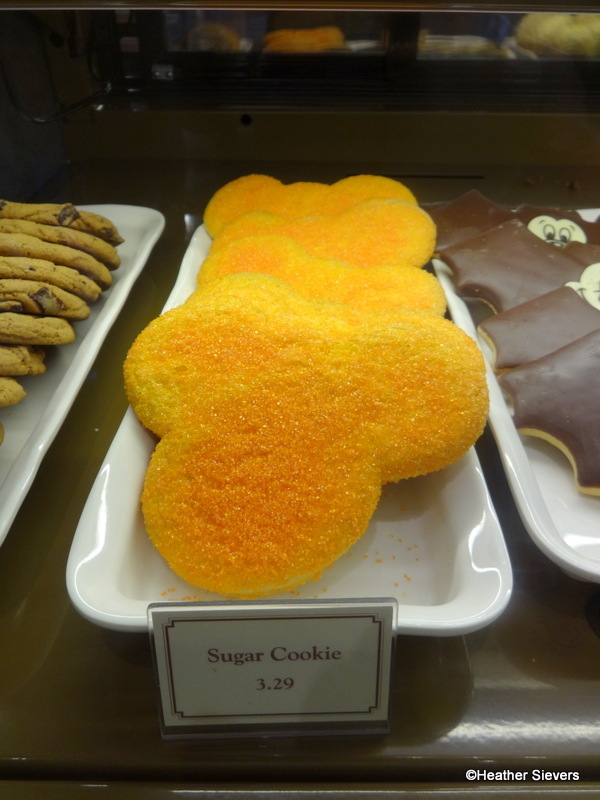 Mostly “Starbucks” treats, but some fun Disney ones thrown in as well. The beverage menu at Starbucks features all of the familiar favorites that you’re used to. In order to keep the quaintness of the original Market House, imagineers kept some of the original design element and added some new ones as well. When you first walk into Market House, you will notice that the original checkers set is there and it can still be played. And not to worry, you can still listen in on those 1890 party line conversations! 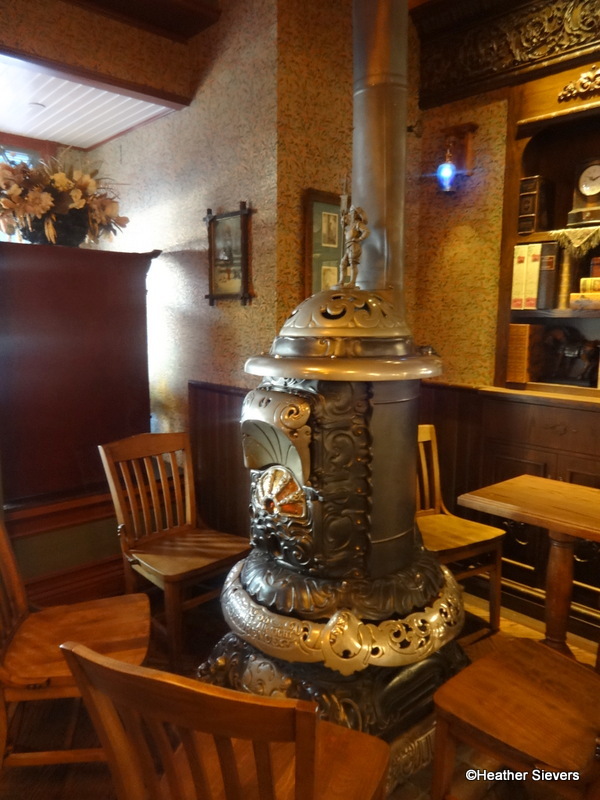 The famous pot belly stove is also still a part of the decor. It has been placed in the main sitting area and is a focal point surrounded by seating. 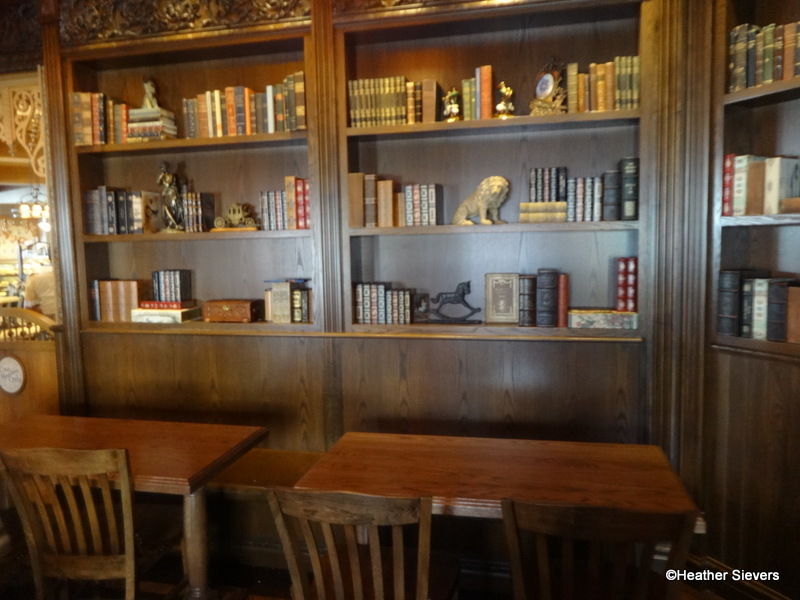 The indoor seating at Market House was designed to look like a small used book shop. Antique books and other small items of decor line the shelves making you feel right at home. 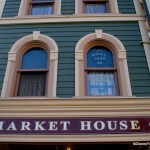 Disney did such a great job making the Market House feel homey. 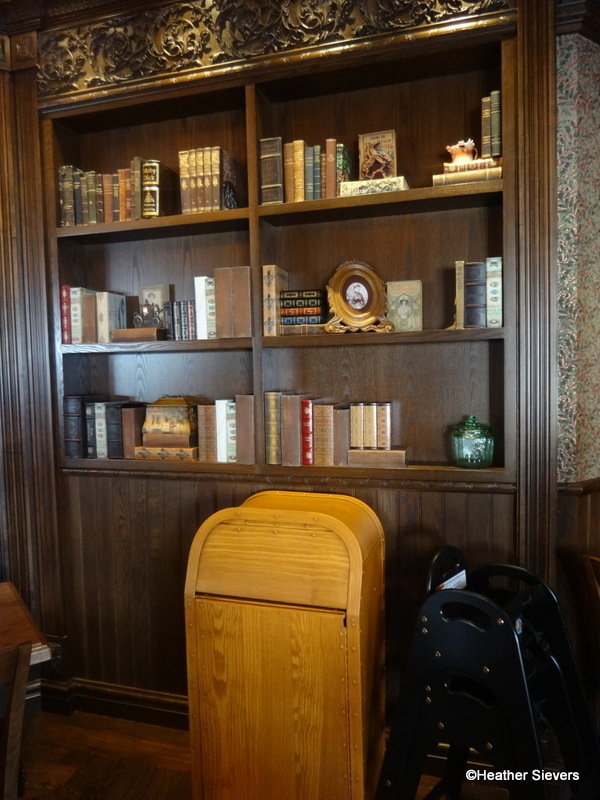 In fact, if it weren’t for this trash can in the middle of the room, I’d actually feel like I was in someone’s home library! Hey there's a trash can in the middle of my library! My very favorite design element of the New Market house is something that you probably wouldn’t notice unless someone told you about it. I happened to notice the adorable lighting that lined the counter. There were three different types of “lanterns.” When I asked about them, I got a very fun answer! 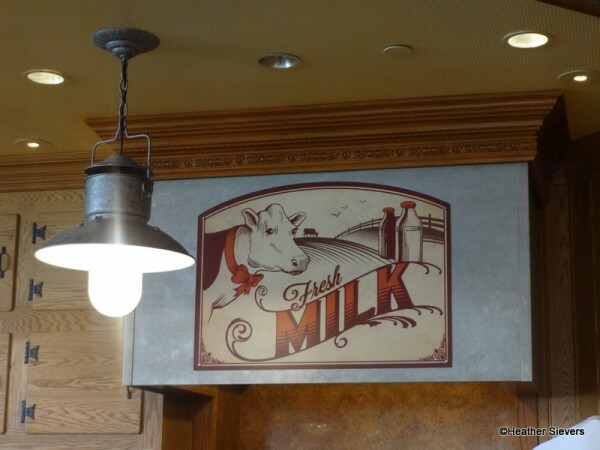 There are three sections of the counter that were each designed with a coffee shop “characteristic.” To the far left there is a milk section with fun milk can type lighting and decor. The center area features an espresso theme. With espresso machine inspires lighting. 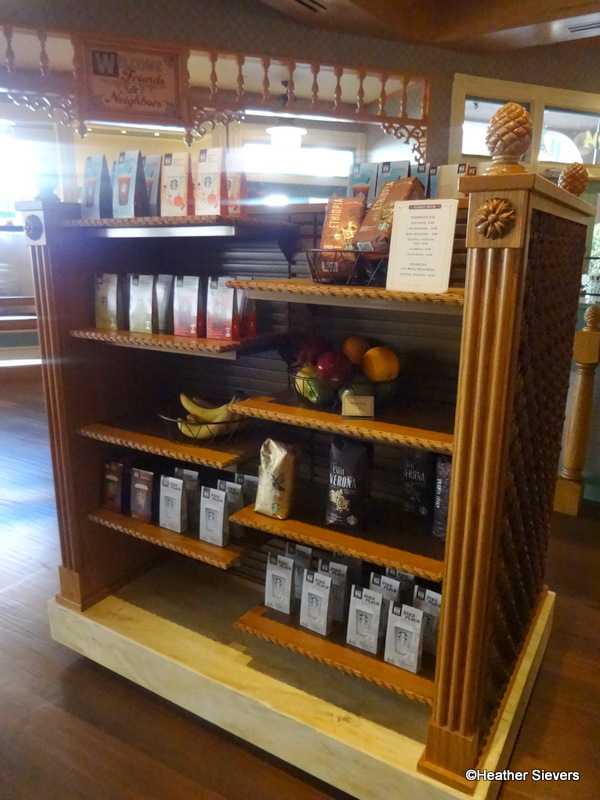 To the far right of the counter, the more subtle but very detailed “tea & spice” section can be found. Here you will find themed spice storage lighting. It was also pointed out to me that the back splash tile colors were chosen to represent (from left to right) sugar, honey & mint; all ingredients often found in tea. On the shelves behind the counter you can spot jars of honey and spices. So many fun details! 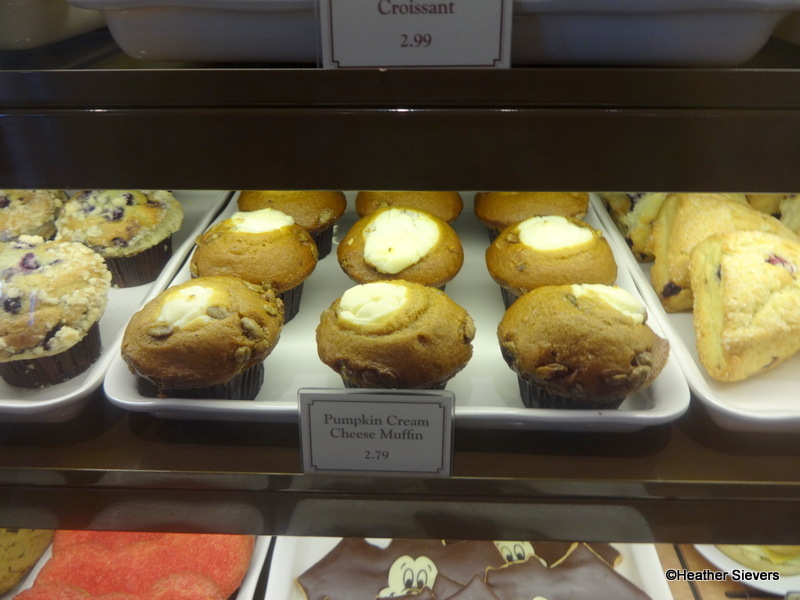 Guests can enjoy a case full of signature Starbucks treats as well as some selected Disney Parks items. We went for the seasonal goodies, aka all things pumpkin. 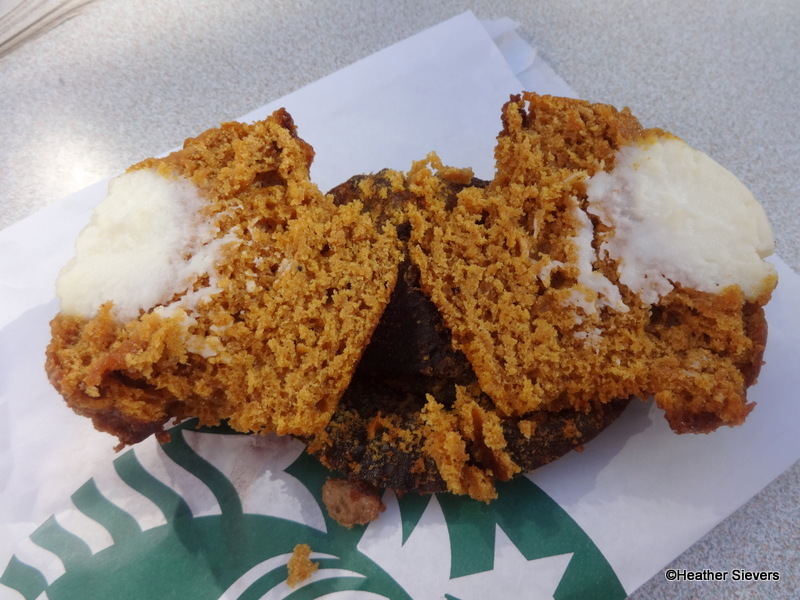 The Pumpkin Cream Cheese Muffin was delicious. 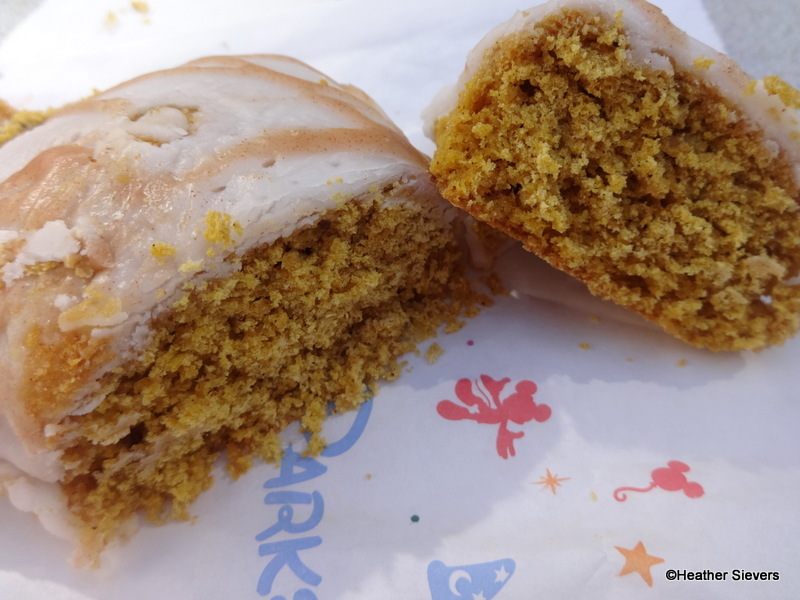 Moist with a dollop of cream cheese frosting in the center, it’s “almost” as good as Disney’s version of yesteryear. Who am I kidding? It had more cream cheese frosting… That makes it better! The Pumpkin Scone unfortunately was not as much as a hit. It was very dry. Yes I know scones are dry, but I’m talking crumbly-make-you-choke dry. 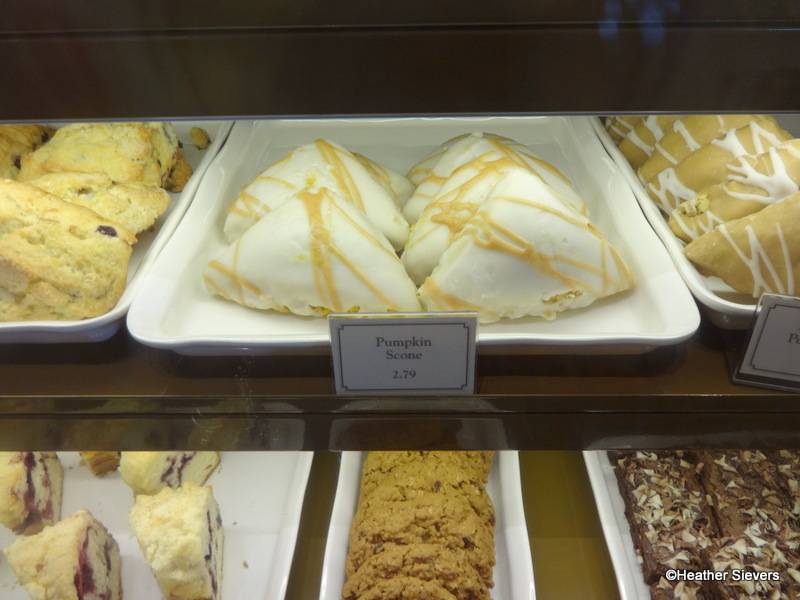 The best part of the Pumpkin Scone was the frosting with caramel drizzle! 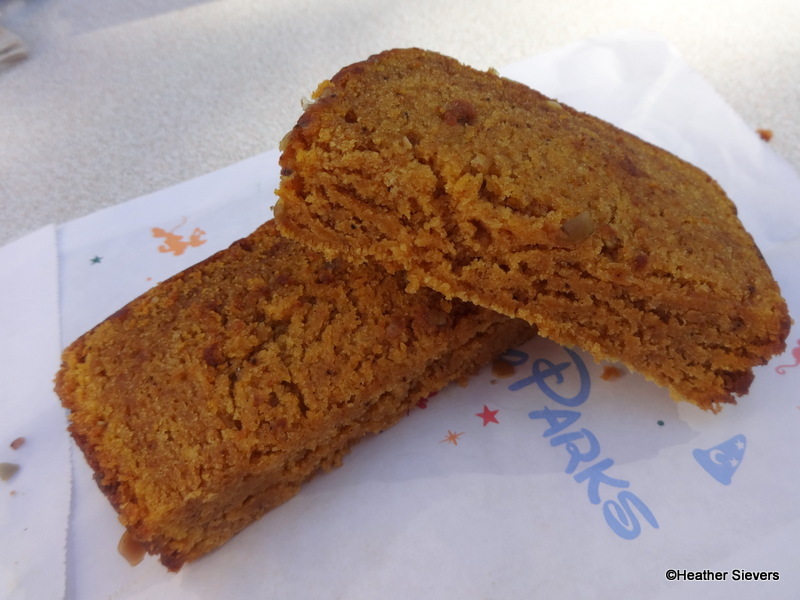 Next up, the Pumpkin Bread. 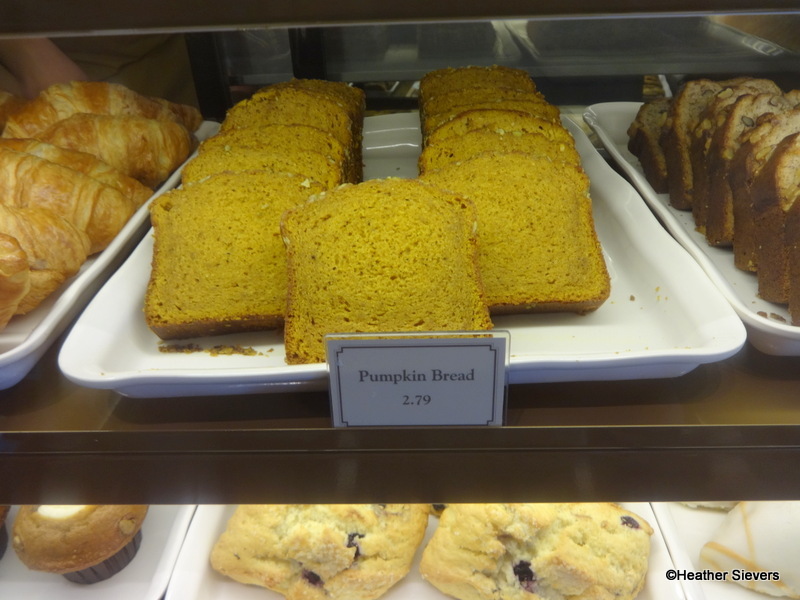 The pumpkin bread was very similar to the muffin. Basically a the muffin in bread form. It was totally tasty and can be served cold or they will toast it for you! 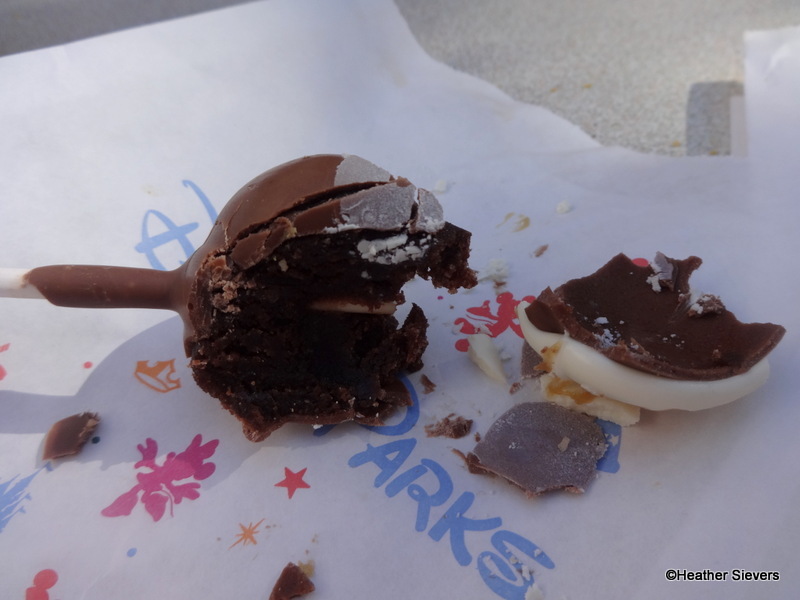 The final item we tried was the Salted Caramel Cake Pop; this one was a little bit of a bust too. The cake was chocolate, dipped in milk chocolate with a coating of white chocolate and caramel drizzle. I didn’t taste the caramel or salt. Honestly it tasted a little like coffee to me! Bizarre, but true. I’ll stick with Disney Cake Pops! 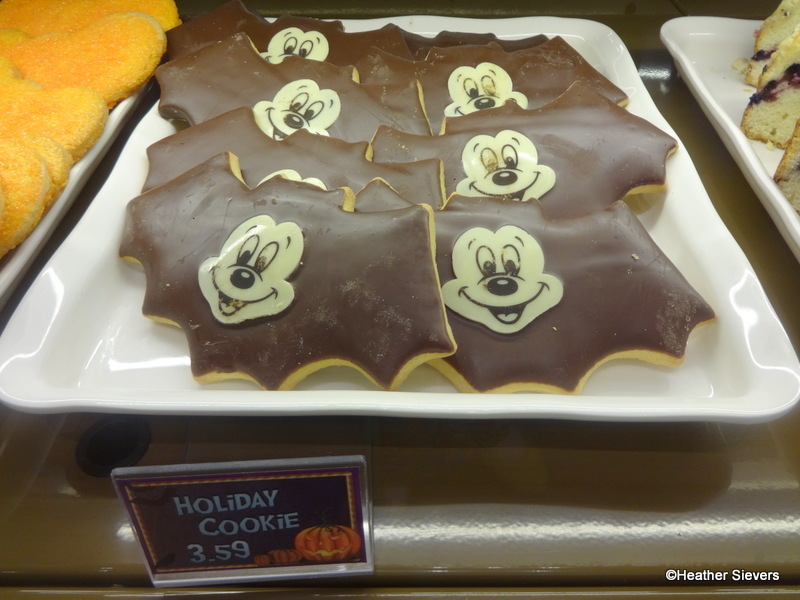 On our visit we also spotted some Disney specific treats, including these Halloween Cookies. I’m told that the case will always have a few Disney treats in it! 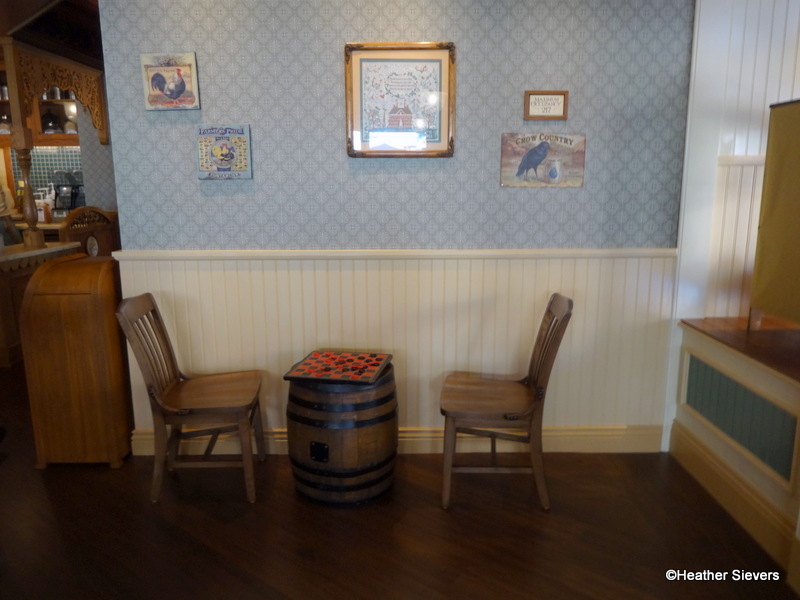 I know that many guests had a very hard time with the Starbucks take over of Market House, but really, I think that Disney did a great job keeping the nostalgic parts and incorporating them with the newness of Starbucks. Although the endless cups of coffee from the original Market House will be missed, I know people are welcoming the glorious mermaid with open arms. 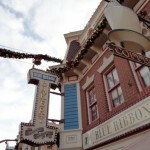 Welcome to Main Street USA, Starbucks! 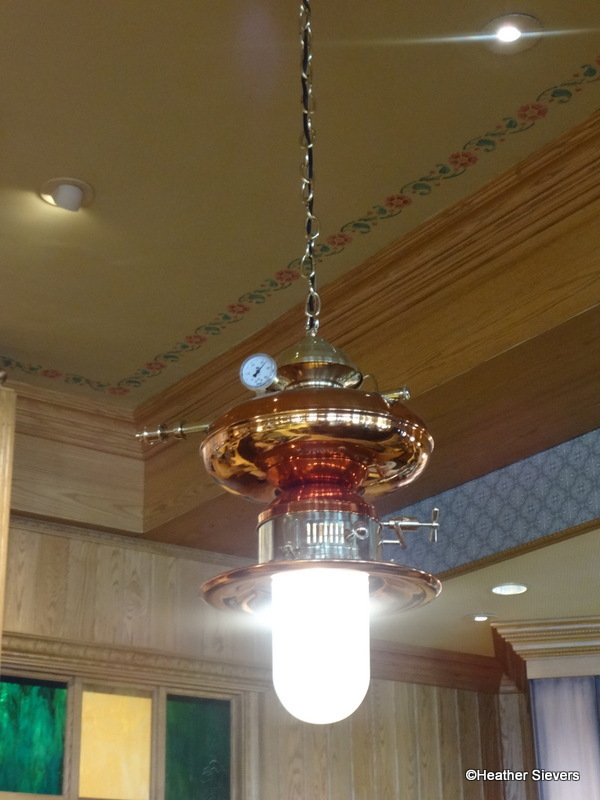 Have you been to the newly re-opened Market House? If so, what did you think? 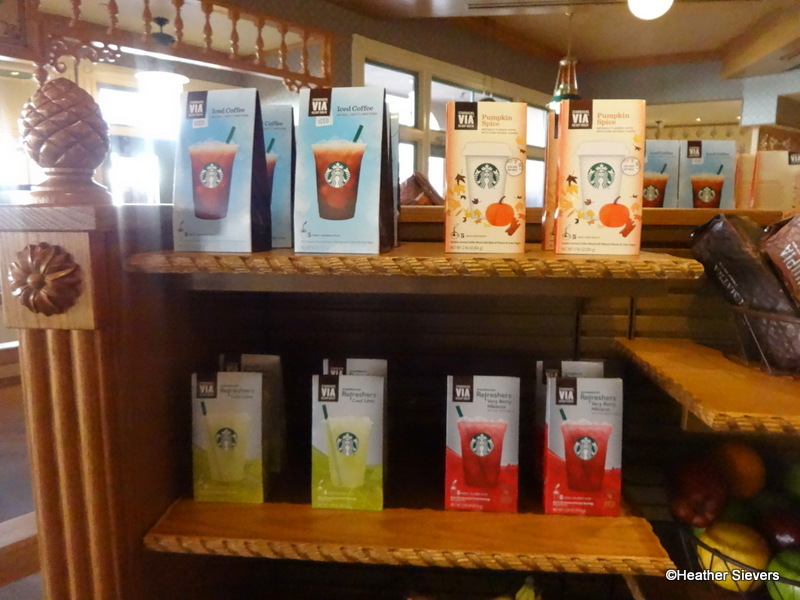 Are you happy that Starbucks is making its way around the Disneyland Resort? Dining in Disneyland First Look: Starbucks Opens in Downtown Disney! Dining in Disneyland: Saying Goodbye to Blue Ribbon Bakery…and Hello to Jolly Holiday! « News and Review! Writer’s Stop Debuts Mickey Macaroons! @Carey H. – I never tried the vanilla chai tea, wish I had! Nice that you were impressed, but I wasn’t. The several times I went in it was wall to wall people, and just missed what was their before. I am fine with the site in California Adventure and Downtown Disney will be fine too, this just doesn’t seem like it fits into Main Street Disneyland to me. 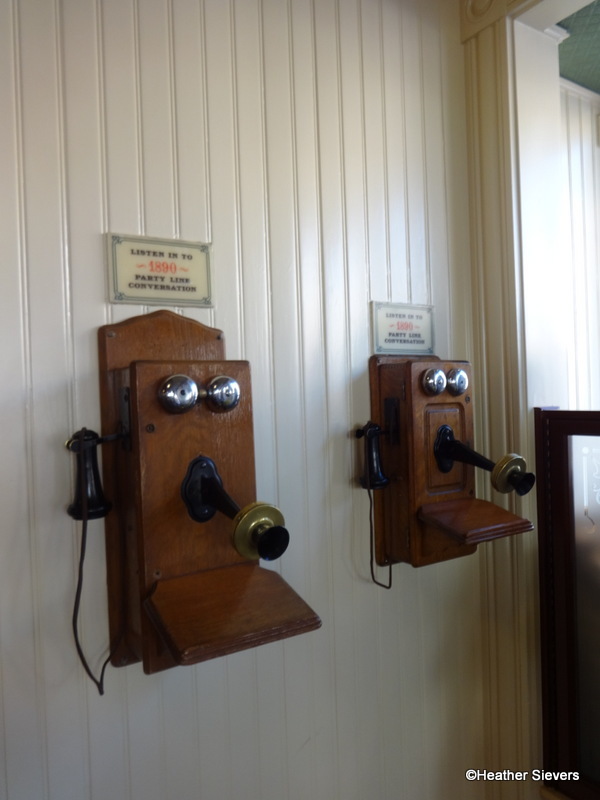 Everything is cyclical, but the parks had moved so far from the opening days’ wanton corporatizing- it’s just sad to see it coming back with such vigor. Does anyone know if you can still order coffee and bring in your receipt all day for free refills? I left a negative review on the Disney blog that was not allowed to be posted. But I feel sad that even in Disneyland I cannot escape seeing Starbucks logos everywhere and market house has turned into just another Starbucks. The previous market house was my favorite coffee shop anywhere for obvious reasons. Now it’s ruined. 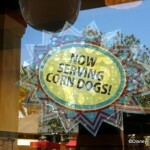 Disneyland just got less happy. That’s unfortunate, but thanks for the response AJ!